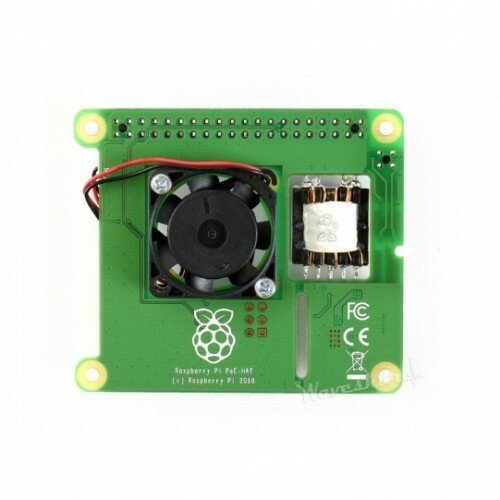 The Raspberry Pi Power over Ethernet HAT is a small accessory for the Raspberry Pi computer. It can only be used with the Raspberry Pi 3 Model B+ (launched March 2018). The PoE HAT allows you to power your Raspberry Pi using Power over Ethernet–enabled networks; for this product to be used, the network it is connected to needs to have power-sourcing equipment installed.